"Empowering Spiritual & Emotional Wellness"
Presiding Elder Anthony Richardson was installed as Pastor of the All Nations COGIC, Harbor City, California, in 1986 by Bishop Charles E. Blake, Sr., Prelate, Southern California First Ecclesiastical Jurisdiction. The church of 31 years is now named, In His Presence Worship Center COGIC and is located in the city of Riverside, California. Presiding Elder Anthony Richardson is married to Mrs. Veronica Lee Richardson. Elder Richardson teaches that the purpose of the local church is to (1) Glorify God (2) Equip and mature believers for the work of the ministry, to help them develop to their full potential for God and (3) to evangelize the community. The goal is to allow the Word of God, the ministry and spiritual gifts to function within this local body. These principles are the thrust that drives the ministry at In His Presence Worship Center. 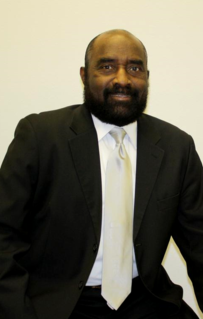 Elder Richardson is a student and teacher of Reformed Theology with an emphasis in Hermeneutics, and is the President of In His Presence Ministries Biblical Studies Research Institute in Riverside, California. Elder Richardson is a member of the California New Journey Ecclesiastical Jurisdiction under the leadership of Bishop John Mark Richardson, Sr., Prelate. Elder Richardson believes in Sola Scriptura (Scripture Alone), which expresses his strong commitment to the unquestionable authority of the Bible. It is very important to reaffirm the Bible as the final authority for God's people. In many circles, the place of Scripture has been usurped by human traditions. Modern science, philosophy, and popular opinion have led many to deny the authority of Scripture. The apostle Paul told Timothy, "All Scripture is God-breathed and is useful for teaching, rebuking, correcting and training in righteousness" (2 Tim. 3:16); in line with this Apostolic witness, we affirm that the Bible stands as the final judge of truth in all areas of life. We should have but one unquestionable rule of faith and life - the Scriptures.